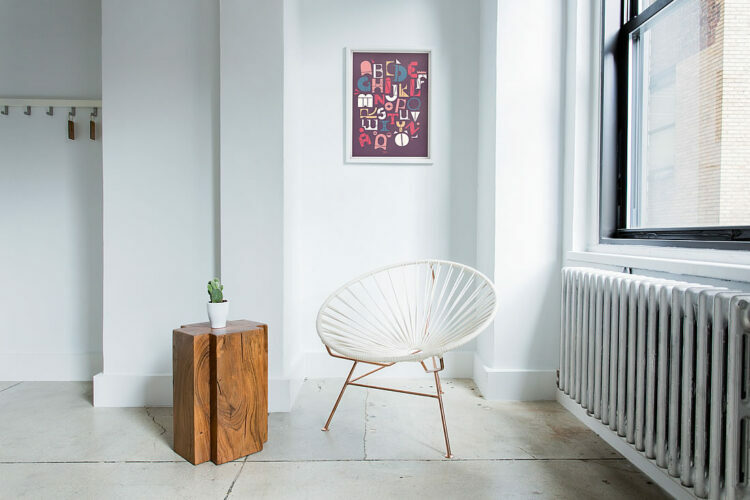 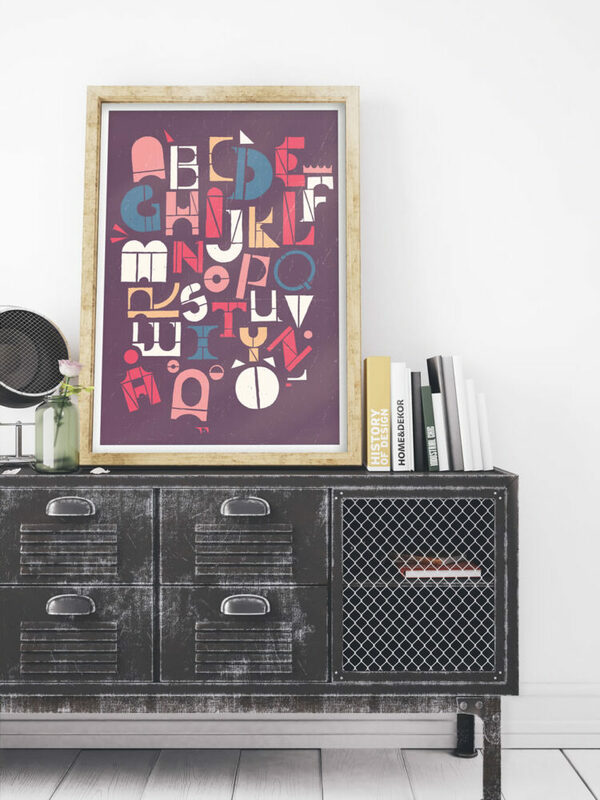 Typographic alphabet poster with classic shapes. 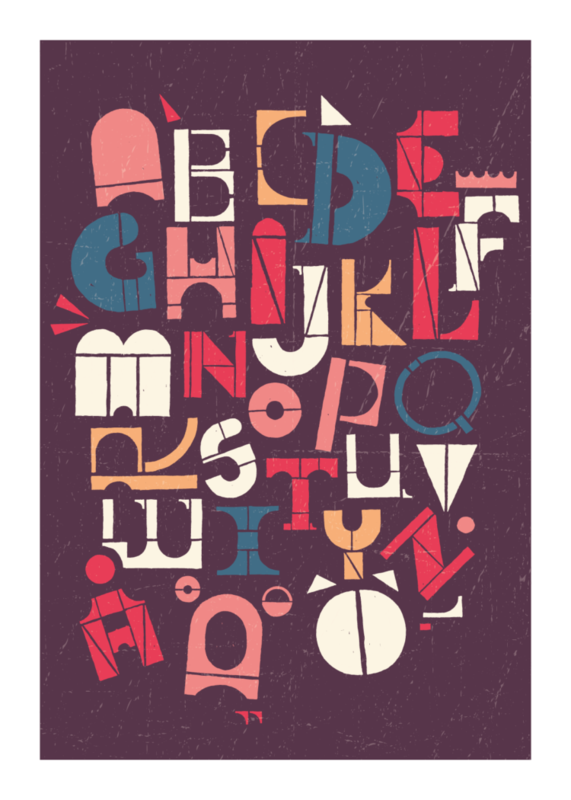 Here, it is the feel and color combinations rather than the letters themselves that characterize the expression. With a vintage feel in “earthy” tones, this poster makes a decorative piece of wall art for any room.